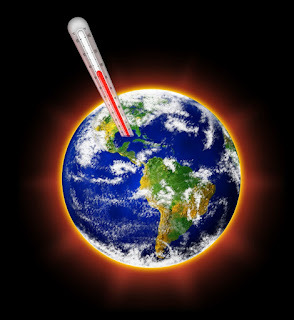 I've written sparingly about global warming/climate change over the years. I'll be the first to tell you that most of the actual science that comes from the myriad concerned fields goes right over my head. I do take quite a bit of it with a grain of salt, not just because I suspect some people are playing fast and loose with the data, but also because on a social level it's become associated with a sort of eschatological environmentalism. Nowhere was the latter bit more evident to me than following President Trump's announcement that the US would be leaving the Paris Climate Treaty. It's hard to determine just how serious to take any of it anymore. I understand that Trump's election represents an existential crisis to many on the American left, but many declared that the US exit from this treaty means no less than the end of the world. Everything as we know it is lost! The world will burn! Our only chance at possibly saving a remnant is to vote Democrat! Everything Donald Trump does is wrong, I get that. This panic over the Paris Treaty, though, the rending of garments, the gnashing of teeth . . . it's really not worth it. Let me explain. According to the Energy Information Administration (EIA), coal represents about 30% of America's energy generating capacity, and about 70% of the CO2 emissions from electricity production. The Department of Energy (DOE) reports that, of all CO2 emission sources in the US, electricity production accounts for about 73% of them. Back of the envelope calculation, means that roughly half of America's CO2 emissions come from coal power. Why do we care about that? 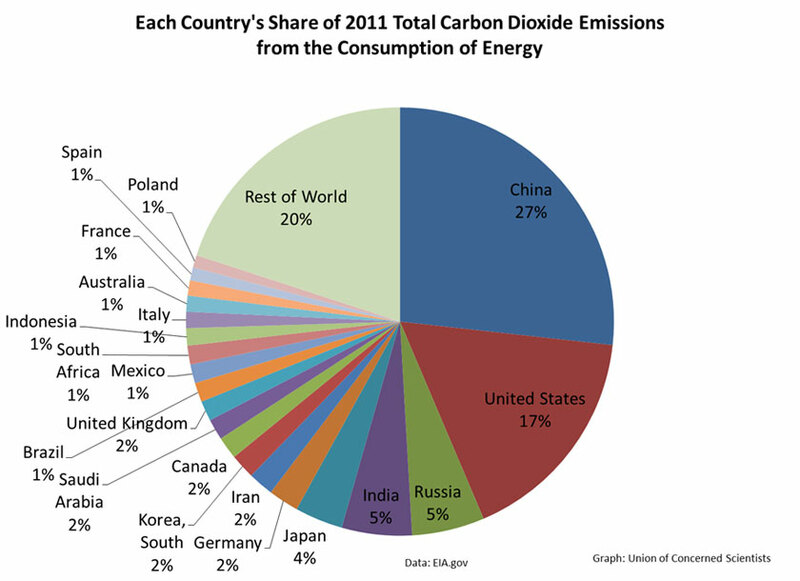 First, let's look at where we rank in terms of emissions globally. According to the Union of Concerned Scientists, the US ranks #2 in CO2 emissions, right behind China. (Those numbers are outdated, but the 2015 numbers found on Wikipedia only raised China and India's share of the pie.) In other words, our emissions footprint is big, but it's not the biggest, nor is it the only big footprint. 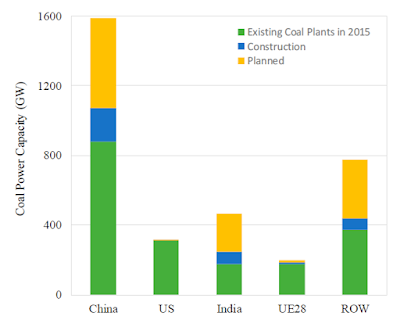 If coal is a big part of the footprint in our country, what about those other countries? I'm not a huge fan of bar graphs because you can't get exact numbers, but I think this picture is telling. Right now, China dwarfs the US in terms of coal power generation, with plans to add more coal power than currently exists in the US. Even India, currently ranked #4 in terms of CO2 emissions globally, plans to add coal power capacity exceeding that of the US. If you're curious where the authors of the Sustainability journal found those numbers, they cite the annual (2016) report, Tracking The Global Coal Plant Pipeline, assembled jointly by Greenpeace and the Sierra Club. All of this is to ask: What difference was the Paris treaty going to make in the face of this? Even if the US stayed in the treaty and agreed to destroy every coal power plant on its soil, no stone left on top of another, China alone will eventually build enough coal power to make up for the absence and then some. As I understand it, the Paris treaty allows countries to set their own emissions goals, which makes it functionally meaningless. Although it seems as though signatories such as India are serious about curbing their current coal plans, I don't see any more reason to believe they're serious about curbing their coal appetite than to believe they're going to be building much more coal power generation. In short, the Paris treaty would have made no difference except, at best, to create the illusion that progress was being made. If you think the Trump Presidency is the worst political event in American history, you're entitled to your opinion. I wouldn't entirely disagree with you, either. This treaty, however, is not the hill to die on, nor is it worth shedding any tears over.